Q2. Are your products the lowest price9 Ex-factory price, the same quality, we are much cheaper than other suppliers. Q3. When can I get the price9 We usually quote within 24 hours after getting your inquiry. 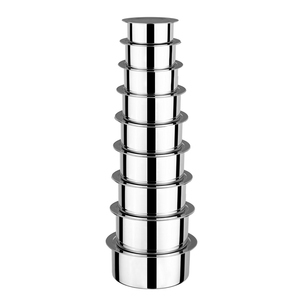 Just tell us your ideas and we will help to carry out your ideas into perfect stainless steel product. 2. Besides the stove, you can use wholesale pots and pans set in the oven, at any temperature. Since it does not scratch, there is no need to use plastic utensils, and there is no fear of using your silverware to stir or scoop. 9. 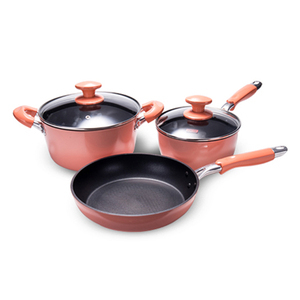 In an emergency, Enamel wholesale pots and pans can be used over any heat source. Make sure that the cast iron camping pots and pans set is thoroughly dried after cleaning. Repeat this treatment regularly so that the pores are filled and the pot is perfectly protected against rust. JQ people always attach great importance to quality controlling from the very beginning to the very end. 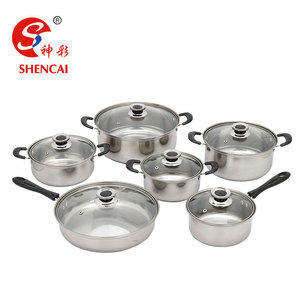 Jiangmen Baifa Industrial Co., Ltd.
Shenzhen Jingzhi Stainless Steel Co., Ltd.
Alibaba.com offers 92,911 wholesale cookware sets products. About 67% of these are cookware sets, 5% are pans, and 3% are utensils. 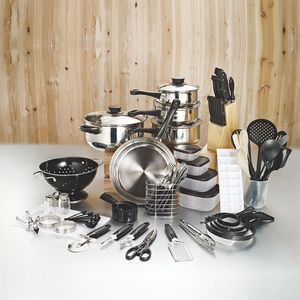 A wide variety of wholesale cookware sets options are available to you, such as fda, ce / eu, and sgs. You can also choose from eco-friendly, stocked. 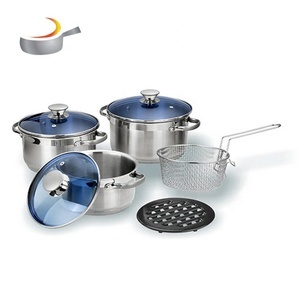 As well as from cookware sets, utensils, and pans. 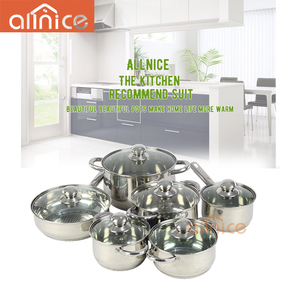 And whether wholesale cookware sets is metal, ceramic, or plastic. 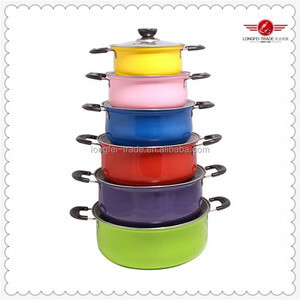 There are 90,403 wholesale cookware sets suppliers, mainly located in Asia. The top supplying countries are China (Mainland), India, and Turkey, which supply 94%, 3%, and 1% of wholesale cookware sets respectively. 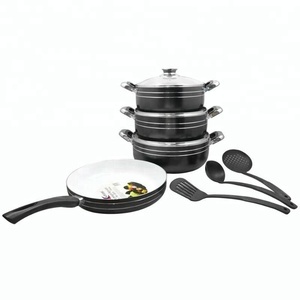 Wholesale cookware sets products are most popular in North America, Western Europe, and Eastern Europe. You can ensure product safety by selecting from certified suppliers, including 21,846 with ISO9001, 6,038 with BSCI, and 5,942 with Other certification.